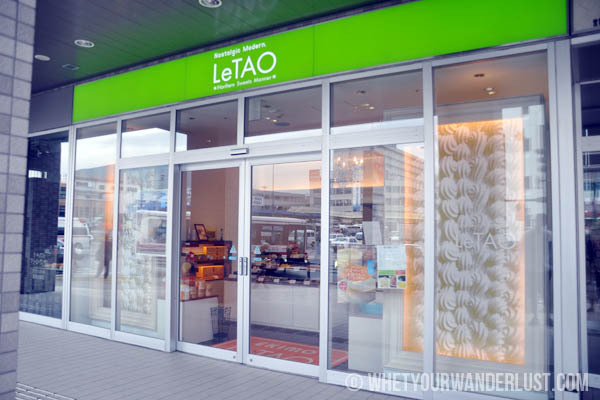 When walking through the streets of the quaint port city of Otaru in Hokkaido in the north of Japan, you will spy no less than 5 LeTao patisseries, all plying their famous “Double Fromage” cheesecake amongst other confections. 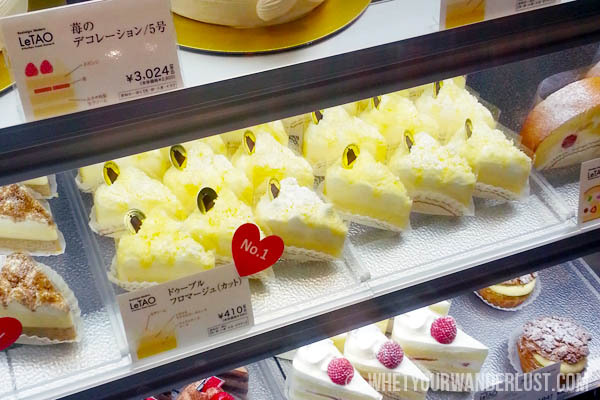 In fact, if you’ve spent any time in other Hokkaido cities, you know that you’ll find milky products in abundance, and you will surely have seen a number of other patisseries plying their own versions of cheesecakes and cream cakes and cream puffs, all making use of Hokkaido’s famous dairy. I’m not sure how many people outside of Hokkaido will have heard of LeTao, but anyone who’s had the pleasure of visiting Otaru will surely have the name etched in their minds. 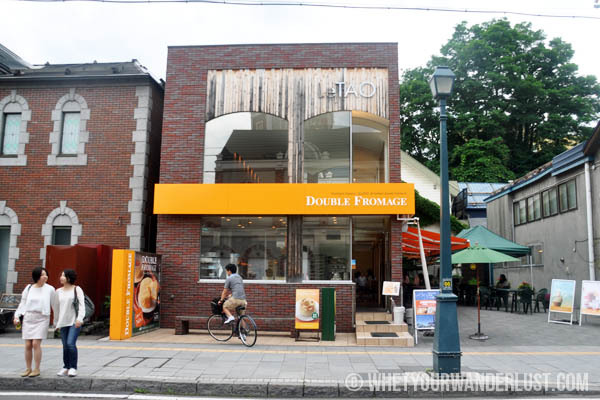 The Double Fromage is LeTao’s No. 1 speciality. 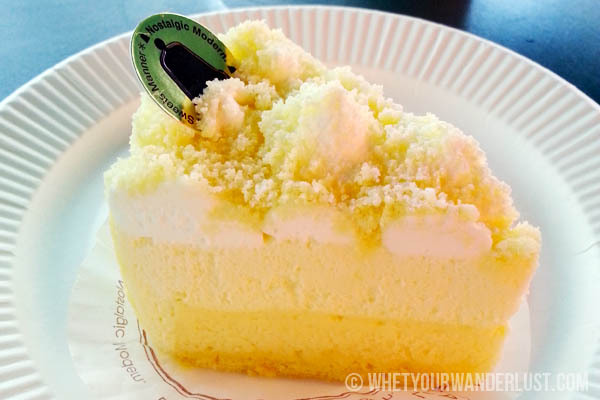 The majority of the outlets sell whole cakes only, one specialises in chocolate, and only certain outlets sell slices. 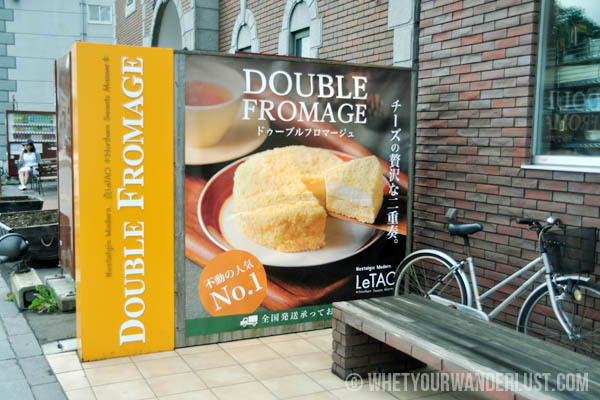 Of course, I’d done my research so the “Double Fromage” was on my hit list of things to eat while in this little Hokkaido city. However had I not, I don’t think I could have missed the many signs and multiple shopfronts on both sides of the famous Sakaimachi Street. The “Double Fromage” is three layers of mascarpone and cream cheese, with a light and fluffy cream layer on top, a middle layer, and a bottom layer of a more dense New York-style cheesecake. Get ready for a light and airy, melt-in-your-mouth sensation that will leave you wanting more, done only like the Japanese patissiers can do. It’s something you literally can’t miss if you find yourself in Otaru.